Pretty Little Liars fans will most definitely be having the theme song playing in their head right now. I'm consistently bursting into PLL theme song when I think about this sweater or about every 10 minutes when I'm wearing it. 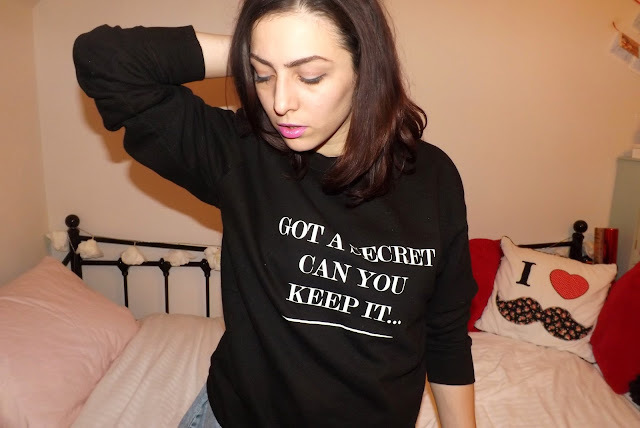 For those non-PLL lovers you may have already guessed from what you've read that on my sweater here I have the beginning of the Pretty Little Liars theme tune printed. I was so excited when I saw this on the Da Silva website that I had to get it! I can honestly say the amount of times I've worn this since it arrived a couple of weeks ago is ridiculous. It's honestly the loveliest softest sweater I've ever worn. EVER. The inside is all fleecy and the size is perfect I bought this in a M for a baggier fit and I adore it for super casual outfits. So for those of you looking for this sweater, I bought it from an amazing online shop called Da Silva London. 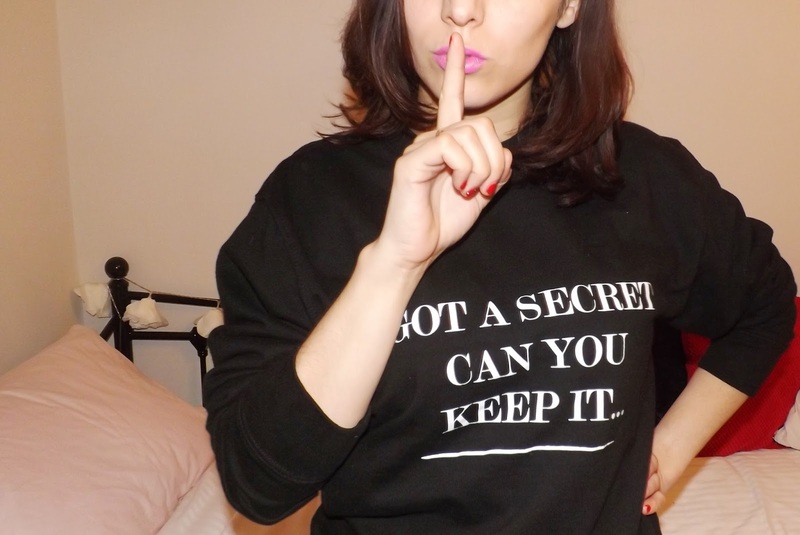 They make the most amazing quoted sweaters and I've literally just gone fan girl crazy at finding out they have a PLL collection! 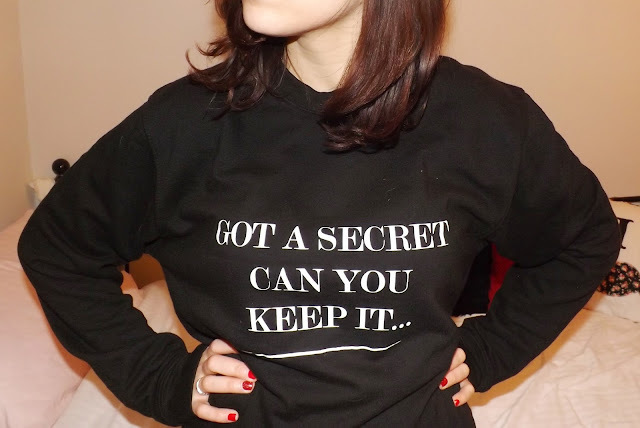 This is one of the 'Pick Your Own Quote' sweaters but after seeing their PLL collection I'm going to HAVE to get a couple of others. They also have some really cool blogger quoted ones too! I might need one of those too.... Have you checked out Da Silva London yet! ?